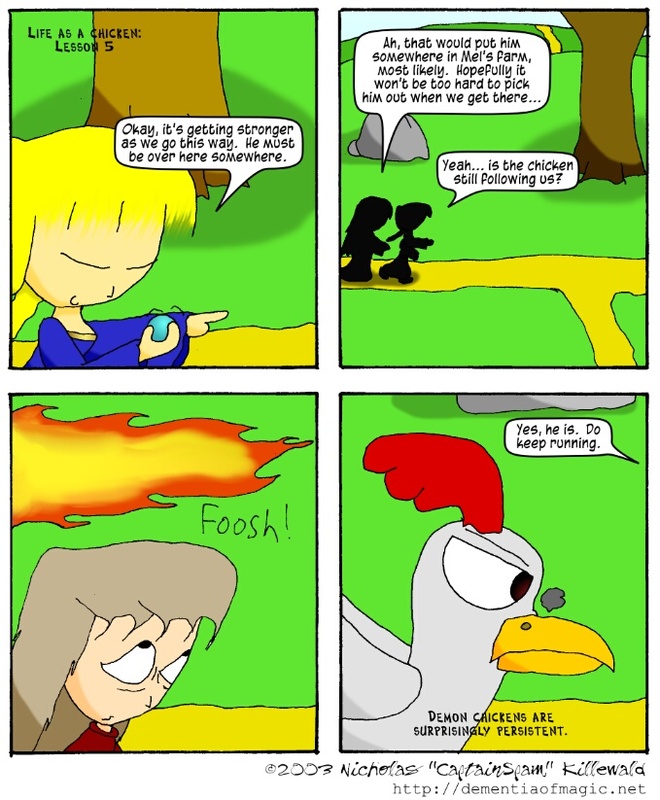 One may wisely wonder how Salth could be in any condition at her age to keep running from the Demon Chicken like that. Not only does she keep herself moderately healthy for her age via elixirs, a few spells, and just plain good eatin', but it is also possible Alex helped her out with a spell or two to keep her stamina up as they hunted Matt. Of course, if that was one's first question, one would miss the more obvious question of how either of them could keep up with running the few miles on end to get to Melzos's farm. Since one didn't wonder that, I don't need to answer it.